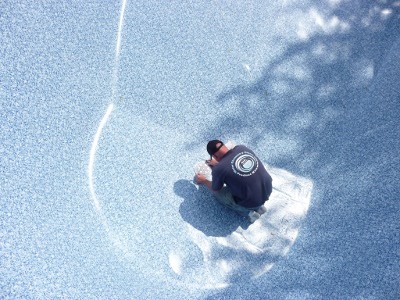 Your in ground swimming pool's vinyl liner sets the tone for your entire pool. 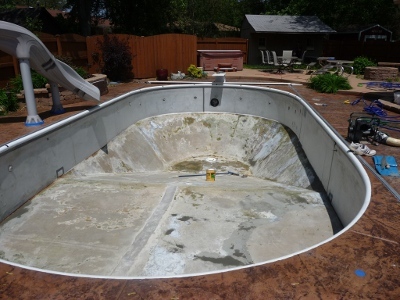 Are you ready to redecorate your swimming pool? 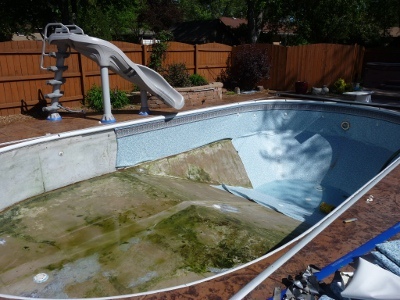 Even with the best of care you will eventually need to replace your vinyl pool liner. 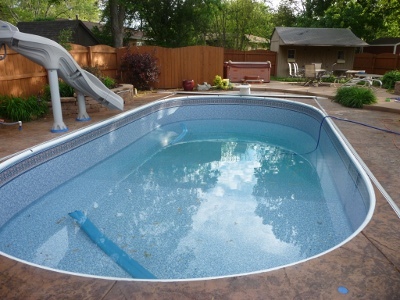 You can see a great selection of Plastimayd pool liners on our Pool Liner Patterns page. 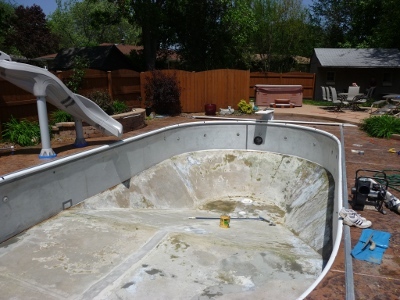 You can see the basic steps involved in replacing the vinyl liner for an in ground swimming pool in the slide presentation above. 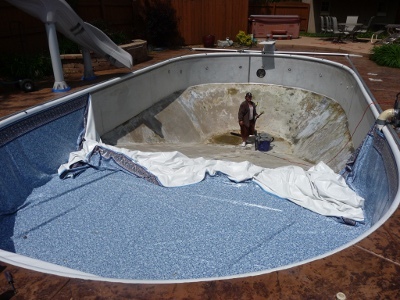 To learn more about what is involved in replacing your in ground pool vinyl liner call Swim Shack at (630) 466-4853. 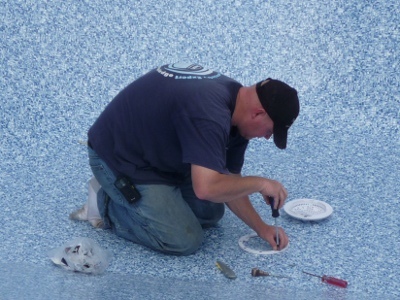 When it's time to replace your in ground pool vinyl liner, Swim Shack Inc. takes all of the necessary measurements to assure a proper fit. 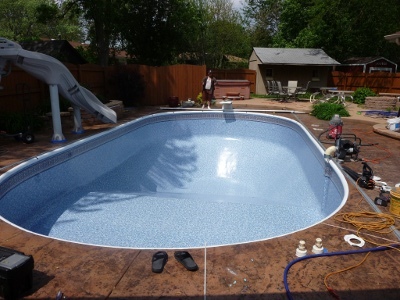 Vinyl liners allow a great variety of pool shapes, as you can see in the pictures on our pool photo gallery. 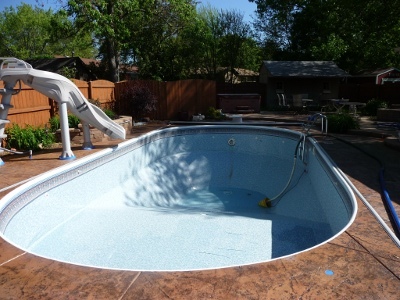 Vinyl liners also accommodate features like pool step entries, and corner benches. 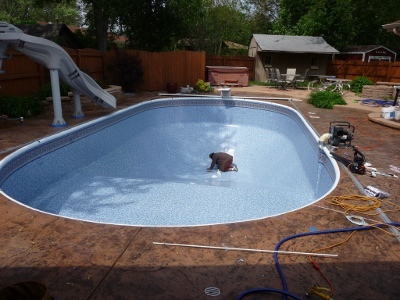 Swim Shack features Craftworks vinyl pool liners with a 5 year non-prorated warranty, talk to Swim Shack about the details. 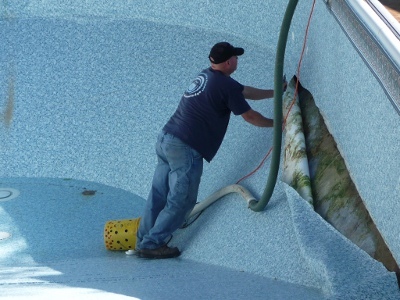 Here are some pictures of the vinyl swimming pool liner replacement process. 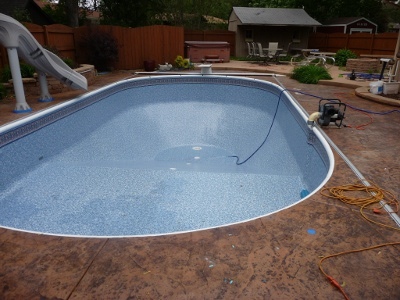 After you select a new pool vinyl liner from the many available patterns Swim Shack Inc. goes to work. 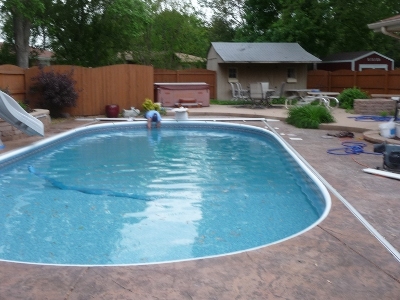 Swim Shack is located in Sugar Grove, IL west of Aurora, IL. We are near Illinois Route 47, north of Yorkville, IL, south of Elburn, IL and I-88. We are an easy drive from Batavia, St. Charles, Geneva, North Aurora, Plainfield, Oswego, Burlington and other suburbs near the Fox River Valley in northern Illinois. 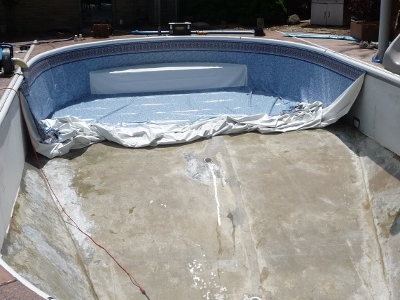 Call (630) 466-4853.